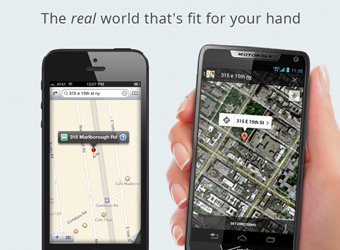 Motorola Mobility, a division of Google, has joined the fray of smartphone makers taking aim at Apple with an ad that mocks the troubled Apple Maps application. The app, which replaced Google’s Maps app in last Thursday’s release of iOS 6, has come under fire for showing points of interest in the wrong place, providing dodgy directions, its poor quality satellite images and having poor coverage outside major cities. 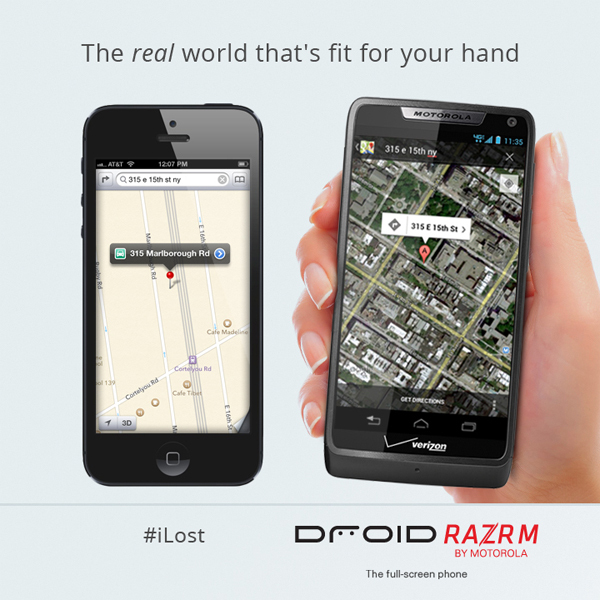 Following in Samsung’s and Nokia’s footsteps, both of whom have have used satirical video ads to take on Apple and the iPhone 5, Motorola released an ad that compares Google Maps on its Droid Razr M with Apple’s version on an iPhone 5, labelling Apple’s as ‘#iLost’. Other examples of problems with Apple Maps have included an extra airfield for Dublin, problems with various place names, and Sydney’s flagship George Street store appearing on the wrong side of the road. The #iLost hashtag appears to be gaining traction with a number of satirical posts on cropping up on Google+, including one with a car smashing through a crowd of bicyclists and a meme of actor Tom Hanks marooned in the film Castaway after trying to use the app accompanied by #iLost.